The multiple mentions of the Arab Gulf state of Dubai in combination with race cars in movies like Zero Dark Thirty, The Fast And The Furious series and Wall Street 2 comes with a price as it apparently made a certain unnamed British tourist believe you could lawfully race on those streets without consequence. Not so as the owners of a Dubai car dealership, who had rented one of their Lamborghinis to a 25-year-old Brit, received some $50,000 in speeding fines already from said vehicle in just a matter of hours. The Saeed Ali Rent a Car dealership was informed by Dubai police that the driver who had rented their vehicle broke the speed limit 33 times. Local police records showed the tourist drove between 78mph and 146mph, triggering every radar on his way. 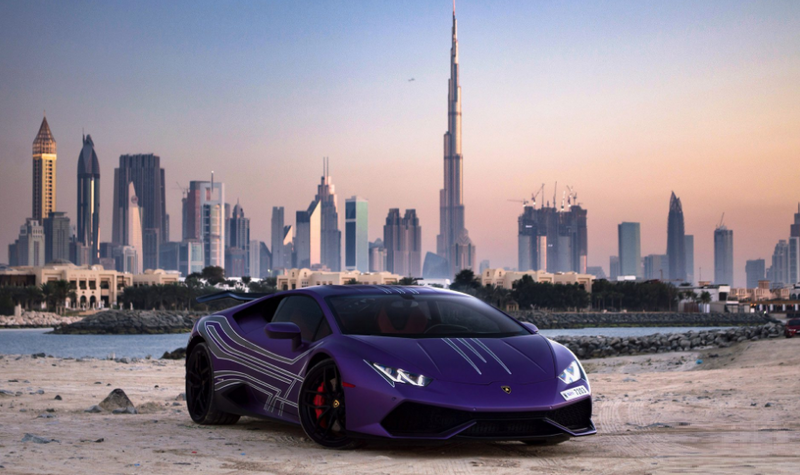 The supercar broke the speed limit 32 times on Sheikh Zayed Road and once on Garn Al Sabkha Road. The unnamed tourist, who gave his address as the Five Palm Jumeirah Hotel and Resort, still has the car whilst the dealership has his passport, which he handed them as a guarantee. The disagreement over who has to pay the fines continues. The British embassy in Dubai has been informed of the incident.